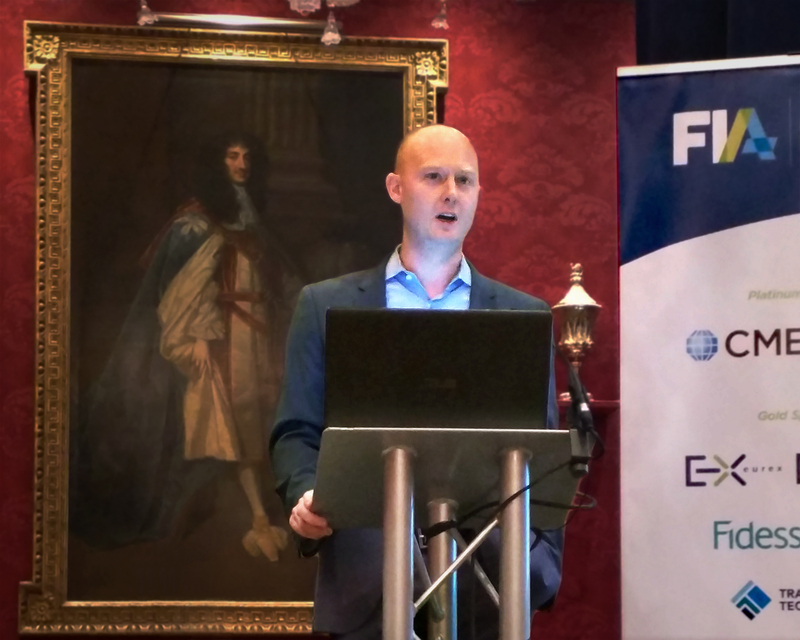 In January, I was invited to speak at FIA’s InfoNet event in London on the subject of the challenge of innovating while facing commercial demands for near-term commercial success and the resource constraints every firm faces. This post is a version of that presentation. In technology generally and fintech especially, there may not be a more inescapable word than “innovation.” It tends to get thrown around like a magic cure-all—if you just innovate, your business will find success and you’ll be able to change your company, your industry or even the world for the better. Innovation can certainly be a powerful tool for good, but we rarely discuss how to do it. And it’s easy to forget that spending time and money on innovation can often run counter to commercial success, at least in the short term. Balancing the need for innovation with short-term and long-term commercial demands has been top of mind for all of us at Trading Technologies for the last two years. I arrived at TT almost two years ago as we were putting our primary focus behind bringing the new TT to market, built from the ground up without dependencies on our legacy platform. I have certainly been humbled by that challenge, but I’ve also learned about the nature of innovation and some keys to sustainable innovation in a challenging environment defined by cost cutting, tighter regulation and a demand for near-term commercial success. First, innovation is an attitude. That may sound simple or cliche, but the fact is that human nature resists change. If we want our organizations to innovate, we’re going to have to do battle with the instincts of our teammates and our customers…which is to avoid or resist change. Innovation is trendy these days, so our customers and teammates are unlikely to say they don’t want to change, but the fact is that change equals risk and most people are risk averse. So how can we cultivate a culture that embraces change rather than runs from it, where the attitude of individual team members is defined by the open-mindedness and flexibility necessary to innovate? The leaders at the top of an organization must communicate clearly that an attitude embracing change and questioning the status quo is valued. At TT, we recently went so far as to make “innovation” and “risk-taking” two of our company’s four “core principles” to reinforce that an attitude of innovation is critical not only to who we are culturally, but also to the long term success of the firm. Leaders must lead by example and actively contribute to the task of innovation by proposing new ideas or new ways of solving problems. If a leader isn’t engaged enough to ask difficult questions about major decisions the team is making, how can the team members be expected to do it? When a team sees leaders being engaged in the task of innovation, they will be more committed and passionate as a result. Communicate, communicate, communicate. It’s easier said than done, but greater openness, transparency, and fostering an active dialog between all members of a team is critical to creating a culture of innovation. If the last two years have been transformational at TT in terms of the changes to our product, platform and services, I hope our cultural transformation has been equally significant through more frequent all-company meetings and a push from the top down to engage everyone in a dialog about who we are, where we’re going and how we are going to get there. Aside from being an attitude, innovation is also iterative. If we think of innovation as “inventing the next big thing,” it’s both intimidating and harder to do in a commercially viable way. Most of the time, what seems to be giant leaps forward in an industry or product actually started as small iterations on existing ideas. One of the greatest commercial successes in recent years, Apple, is an example of this. Apple is never first to market—the iPod wasn’t the first portable mp3 player; it was simply better than the ones that came before it. The same goes for the iPhone and iPad. Their innovations were iterations on existing (often someone else’s) ideas. Thinking of innovation as iteration on ideas which are being regularly re-evaluated and improved upon reduces the intimidation factor and frees up a team to start innovating from where they are. A second benefit of approaching innovation as iteration is in managing costs. The smaller the change, the more you can learn and adapt. By taking baby steps when innovating, the cost of change is reduced, meaning the cost of innovation and risk associated with it is lower. This also allows you to fail fast. If a new product or service is a bad idea, better to know as early in the investment as possible. By treating innovation as iterative, you can get feedback early and either adjust for greater success or fail as quickly as possible. How can one build an iterative approach to innovation into a team? First, think about the way the team works and adjust it for frequent feedback and constant change. In the software world this is Agile development, but it seems every discipline now has its own flavor of Agile so it’s nearly ubiquitous. Embracing an Agile approach to product delivery, even if your product isn’t software, gets you the benefit of the underlying principles of Agile (planning for change and frequent feedback), which will empower your organization to become better at innovating in a sustainable way. Second, if innovation is iterative, we also need to design accordingly. I think of this primarily as a technical approach, which means embracing architectures that are flexible and reduce the cost of change. There’s a lot of talk today about microservices and serverless computing because they empower sustainable innovation. Legacy organizations must be looking more and more to these types of approaches that maximize flexibility and simplify the complexities inherent in deploying and supporting large legacy software products. At TT, the goal of our new platform’s hybrid architecture is to free us up in this way, supporting a more flexible development and deployment process that will be critical to pivot quickly as the demands on our business continue to change more quickly than some software platforms can. Great advances come when collaboration happens across individuals, teams and firms, allowing each group to build on the successes of those around them. Finally, innovation happens in communities. There’s a book that was recently published titled The Geography of Genius, which theorizes that genius is not born or made, but grown in specific places at specific times. The author argues that a confluence of triggers leads to clusters of genius, and these geniuses often are actively engaged with one another. His examples are Renaissance Florence, Classical Athens and today’s Silicon Valley. Innovation works the same. In fact, these clusters of genius could just as easily be described as clusters of innovation. Great advances come when collaboration happens across individuals, teams and firms, allowing each group to build on the successes of those around them. This concept got me thinking on a much smaller and humbler scale about how new ideas are developing at TT these days (many of which are purely behind the scenes and never visible to an end user). These ideas aren’t coming out of thin air, but are rooted in dialog with a community of technologists both inside and outside the firm. Inside TT, there are many teams working on different parts of the platform or business. When these teams collaborate and engage more actively with one another, it’s obvious that good things result. The goal isn’t to make every team operate the same, and it’s critical that teams have autonomy because freedom should breed ownership, which results in a better product. At the same time, having these autonomous teams collaborate yields new ideas. In the same way, as we’ve engaged with other firms in the industry, we’ve found ideas that become the seeds of innovation or changes inside our own products and processes. A few examples would be some startups like OpenFin, Duco and Green Key. While TT isn’t in the same business as any of these firms, by engaging in a dialog about how we all are delivering products and services, we are learning, and it’s impacting our product and, just as importantly, how we build and deliver great software. Are our teams getting exposed to new ideas that can become the seeds of innovation in their own minds? Are they looking outside their own industry to find trends or ideas or business models that should influence what they build and how they build it? The capital markets technology community has historically been an insular one, but I’m hopeful that the recent flood of fintech startups and a growing interest from many larger entities in cultivating a strong startup community will mean that capital markets technology will become more creative and more innovative in the months and years to come. Ultimately, sustainable innovation, like achieving success in any endeavor, is all about learning. If you’re not constantly learning, it doesn’t really matter how much or little you innovate because innovating without learning from your experiences is pointless. In the last two years at TT, more than processes, policies, or product decisions, our willingness to learn from our experiences is what helped position us well for a future that looks very different from our past. Innovation is the heart of that, but it is the ability to learn and willingness to examine ourselves that creates the opportunity for us to innovate in a way that can be reconciled with the commercial demands and near-term pressures we face.